Wayne Curtis needs a kidney transplant and needs your help. Our brother, Wayne has been on dialysis since his kidneys started failing him, in 2010. 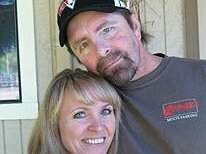 Polycystic Kidney Disease has dealt a terrible blow to this native Oregonian who once enjoyed working in the timber industry running heavy equipment. He is also a talented mechanic and often helped others by fixing their cars. Wayne loves fishing and just spending time in Oregon’s great outdoors, but his true love are his wife, two children and one grandchild. We are so proud of Wayne. He always keeps his chin up; we never hear him complain or show any signs of fear, but we all know that the dialysis is what is keeping him alive. His kidney function is now down to just 3% and a transplant is his only hope at a return to good health. Transplants are life-saving but very expensive. One of the major costs that Wayne faces is travel and relocation to stay near the hospital in Portland for a month after transplant. He will then be required to travel from home to the hospital several times a week for an extended period. This, along with medication expenses and high insurance rates, makes for a great challenge. Wayne has chosen to fundraise with HelpHOPELive in part because HelpHOPELive assures fiscal accountability of funds raised and tax deductibility for donors. Donors can be sure that funds donated will be used only to pay or reimburse medically-related expenses. To make a tax-deductible donation to this fundraising campaign, click on the Donate Now button. We don’t really have the words to explain the love we feel for our “big brother.â€ We just canâ€™t imagine life without him. Please say a prayer for Wayne and lend us your support. wWayne almost every memory of growing up concludes my brothers. I cannot imagine life without either of you. Please don't hesitate to contact me if you need anything. I love you with claws and all. Hey Wayne, I wish for you all the best! Sorry to hear about your failing health. I will be praying for you. Uncle Wayne, I love you so much! I'll help in any way I can. Wayne, you are the best big brother a girl could ever ask for! I love you bunches! Stay strong, and God will find a way in His way to see you through this. You are an amazing man, husband, and friend anyone would be blessed to have you in their lives!